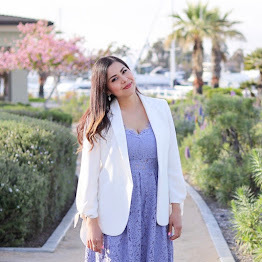 As I mentioned in my last post, I attended the Spring 2014 Trend Report hosted by Neiman Marcus Fashion Valley and styled by their in-house Style Advisor, Alex Yáñez. Well ladies, get ready to drool! Here are some of my absolute faves and a breakdown of the trends. Also I put together the video at the end with footage, Alex giving styling tips on the trends and of course, the food! "From blush to anything but shy"
Check out my highlight video of the Trend Report here! "Build a Collection"- The Clothing serves as the canvas for some spectacular splashes of color and patterns. "More refined than roughing it"
"Keep cool under the collar"
Wow i love the first top dress with lips on it. That top dress with all the embellishments has my name on it!! Great report, I'm so excited for Spring!! Love the pictures ! So happy to see San Diego bloggers I from San Diego and miss it so much . I will be in San Diego later this summer . Would love to do a collaboration with you when I'm in town . Let me know what you think . Loving all of these look! That first dress! Love! How fun! I love the first dress!